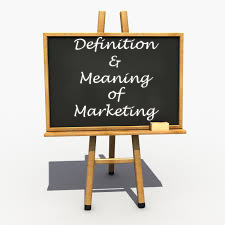 Question - What is marketing? Define and explain marketing on the basis of different approaches. After reading this you'll understand - what exactly the marketing is, different definitions of marketing, and what are the different approaches of marketing. According to American Marketing Association (1948) - "Marketing is the performance of business activities directed toward, and incident to, the flow of goods and services from producer to consumer or user." The above definitions are based on the economic approach of marketing. Marketing embraces all the business activities involved in getting goods and services , from the hands of producers into the hands of final consumers. The business steps through which goods progress on their way to final consumers is the concern of marketing. According to Star et al. (1977) - "Marketing is that process through which a business enterprise, institution, or organisation 1. selects target customers or constituents, 2. assesses the needs or wants of such target customers, and 3. manages its resources to satisfy those customer needs or wants." Storing, moving, and displaying goods after they leave the production site. According to Mazur (1947) - "Marketing is the delivery of a standard of living to society." The above definition is based on the managerial or systems approach of marketing. According to this approach the emphasis is on how the individual organisation processes marketing and develops the strategic dimensions of marketing activities. According to AMA (2004) - "Marketing is an organisational function and set of processes for creating, communicating and delivering value to customers and for managing relationships in a way that benefits both the organisation and the stakeholder."